The game before the game … Team LeBron crowned kings of L.A. The 67th edition of the NBA All-Star Game is all about Team LeBron vs. Team Stephen. Under the new All-Star Game format, in which leading vote-getters LeBron James and Stephen Curry picked the teams regardless of conference, we get to see if the new style will be worth all of the fuss. 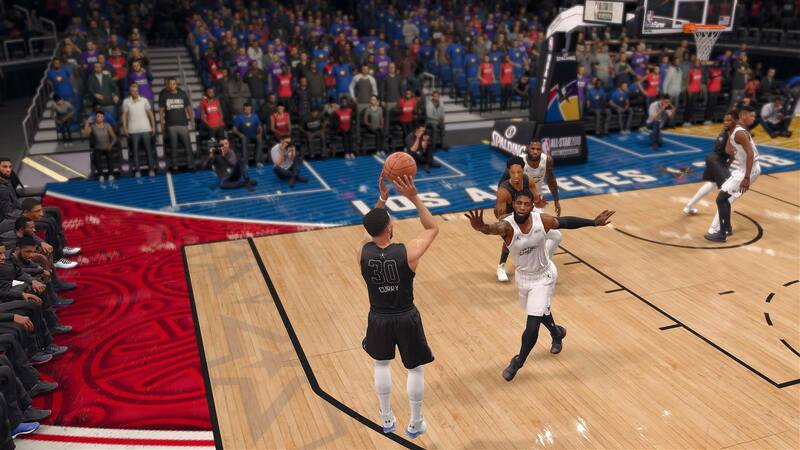 As always, we turn to NBA LIVE 18 to see how things will go down at Staples Center in Los Angeles on Sunday (8 p.m. EST, TNT). Will the pickup-style rosters result in a more competitive game? Kevin Durant is the only Golden State Warriors player on Team LeBron, which means Durant has a good chance of matching up against his real teammates on Sunday. James will make his 14th All-Star appearance and will have started in each one. 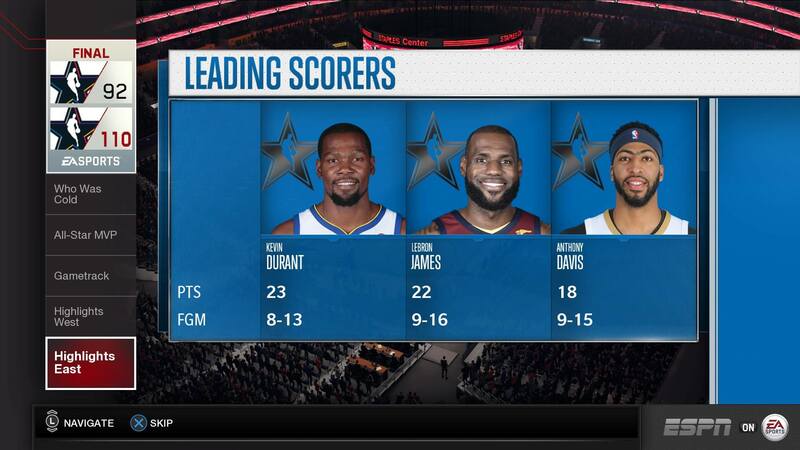 Retired Los Angeles Laker Kobe Bryant (15) is the only player with more All-Star Game starts than James. We’re hoping for some kind of tribute to the greatest performance of “The Star-Spangled Banner” in All-Star Game history. Coming into the game it appeared, at least from a statistical perspective, that James’ crew had the advantage. 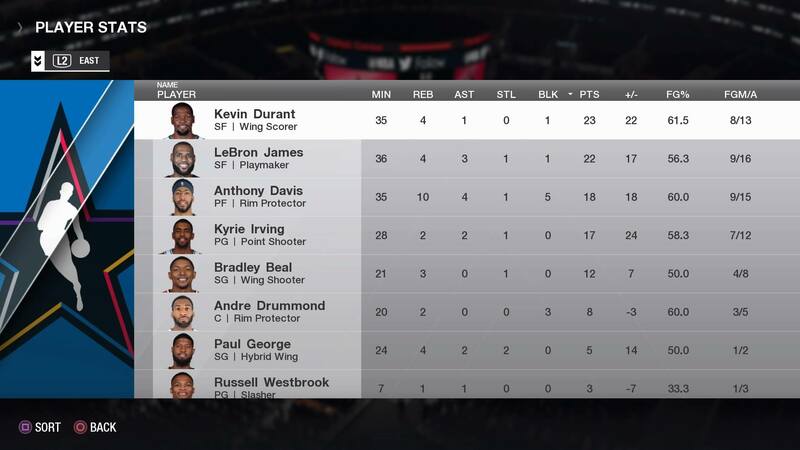 The numbers didn’t lie, as Team LeBron proved to be a force to be reckoned with, walking away with a 110-92 win. James had 16 first-half points to pace all players, while Anthony Davis added 10 points, 6 rebounds and 3 dimes as he owned the paint and the boards. 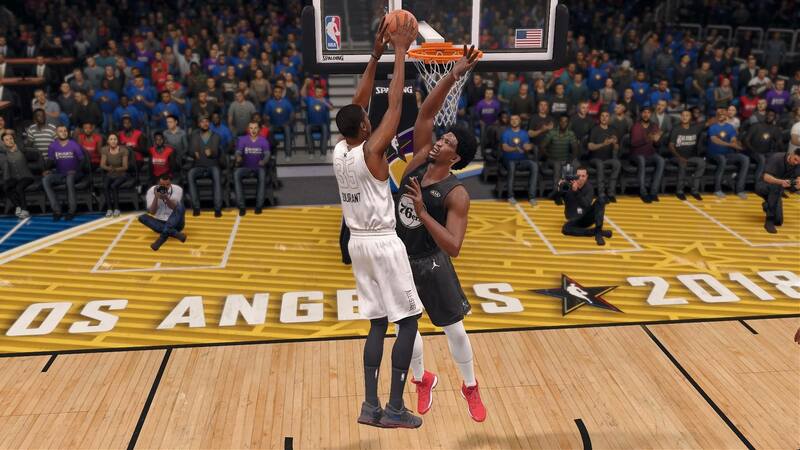 Durant with the mean dunk on Joel Embiid. 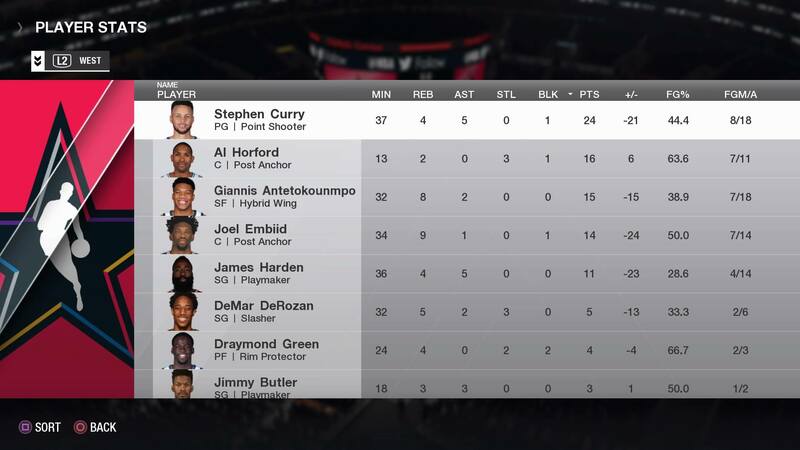 The arc was kind to Curry, as he drained six 3-pointers. Davis was your MVP, finishing with 18 points, 10 boards and 4 assists.